Creativity is a strategic business weapon. The companies that will survive and thrive will not be the ones with the deepest pockets, but the ones that can utilize the creativity of their workforce. 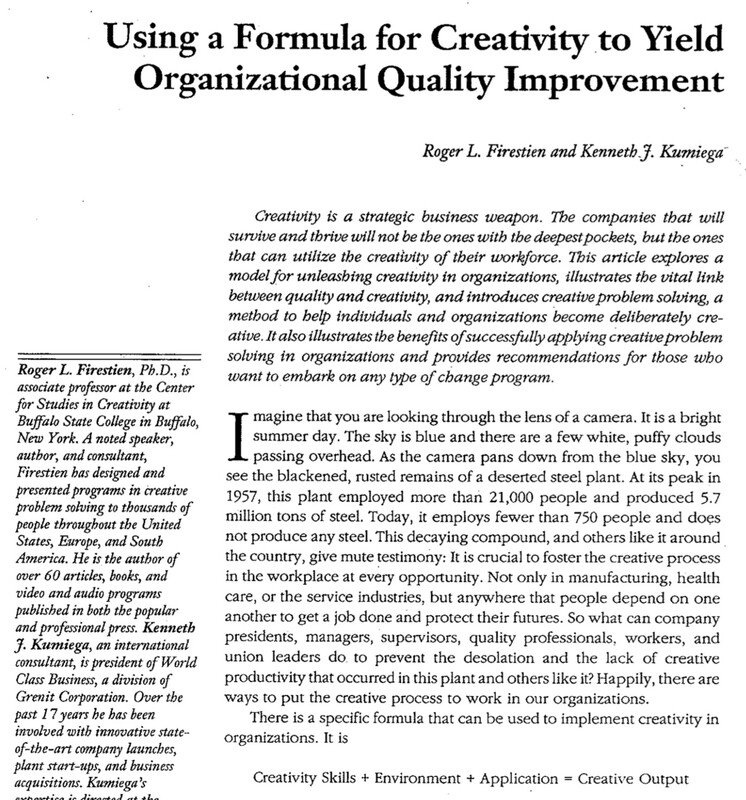 This article explores a model for unleashing creativity in organizations, illustrates the vital link between quality and creativity, and introduces creative problem-solving, a method to help individuals and organizations become deliberately creative. It also illustrates the benefits of successfully applying creative problem-solving in organizations and provides recommendations for those who want to embark on any type of change program. Find out how to get a hippo out of a bathtub. Drive a tractor. Get creative.